Turkey, long hailed as a bastion of secular democracy in the Muslim world, could be spiraling toward an all-out civil war as conflicts between Turkish security forces and Kurds as well as other ethnic minorities continue to escalate. These conflicts have been exacerbated by the catastrophic war in neighboring Syria, which has created a refugee crisis in Turkey, expanded the government’s campaign against Kurds in Iraq and Syria, and pushed Turkish officials into collusion with ISIS. The lurch toward autocratic rule by President Recep Tayyib Erdogan has long worried regional and Western observers, with curbs on freedom of speech and political repression of the Kurds. That policy has taken a bloody turn with the repeated bombing of Syrian and Iraqi Kurds and, since July 2015, escalating crackdowns at home. The murder in November of Tahir Elci, a leading Kurdish human rights advocate and president of the Diyarbakir Bar Association in southeastern Turkey has dramatically increased tensions inside Turkey and put the Kurdish issue—seemingly settled only a few years ago—back on the agenda. Turkey has other problems to contend with. The Russians—playing an increasingly important role in the region—have long maintained that Turkey is receiving oil from ISIS, through official complicity, illicit criminal networks, or some combination. The Associated Press corroborated Russia’s account by stating that upwards of 30,000 barrels of oil are being extracted each day by ISIS from Syria, with much of it ending up in Turkey. While Erdogan and his ruling party have not been sanctioned by the U.S. or anyone in the West for that matter, one can only conclude that this willful blindness means that the U.S. is fearful for Erdogan’s political stability, not to mention Russia’s ascendant position in the region. On the economic front, Turkey has recently lost a lifeline of non-energy trade with Russia–including agriculture and textile projects, tourism and construction—that supports tens of thousands of jobs in the country. It was severed following Turkey’s downing of a Russian plane flying combat sorties in Syria, a dangerous move by the Turks that could have easily (and perhaps justifiably) led to a Russian counterattack and a larger war involving NATO. Russia held its fire, responding calmly when many expected escalation, and instead imposed economic sanctions against Turkey. This squeeze on vital elements of the Turkish economy could give rise to further internal discontent in the country. Lest we forget, bread riots helped start the civil war that toppled Egypt’s Mubarak, and economic issues sparked the fall of Ben Ali in Tunisia. A more subtle but no less powerful force is also at work against Turkey: regional resentment. The region has a long memory of the “Ottoman yoke” which was ended 100 years ago by the Hashemite-led Arab revolt and finally the expulsion of the Turks from Arab lands. Turkey’s brash role in the region today—backed implicitly by U.S. and NATO firepower–is seen by some as coming at the expense of its Arab neighbors, especially as more evidence on Turkish involvement in illicit trade with ISIS grows. Turkey’s assertive role in a new regional triangular power structure with Saudi Arabia and Qatar has also created greater diplomatic isolation from much of the region. The confluence of these internal and external factors has put unprecedented pressure on the Turkish state as a viable entity. The conflict with the Kurds seems to be tearing the nation at its seams—the very idea of the secular, pluralist state is at risk. But other clouds—economic, diplomatic, and military—are looming over the horizon. What happens next is not entirely in Erdogan’s control. Will Russia’s military restraint hold? Will the fragile regional alliances against ISIS shift against Turkey? Will ISIS itself continue to shake the Turkish people’s confidence? 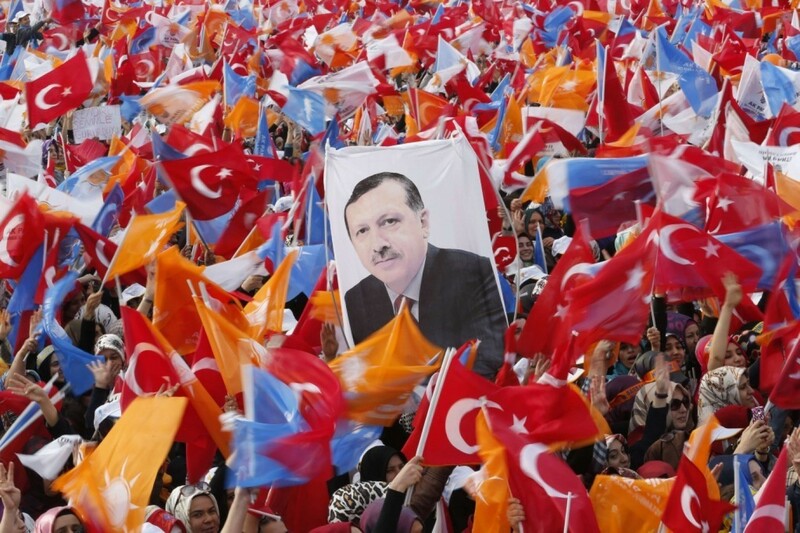 Or will it be Erdogan’s own policies that ultimately undermines the Turkish state?